Whyte Just & Moore are pleased to introduce one of our new up and coming lawyers- Georgia Martin. Georgia graduated from Deakin University with a double degree in Law and Arts (Psychology). Georgia was admitted to the Supreme Court of Victoria in June 2017 before joining WJM in September 2018. 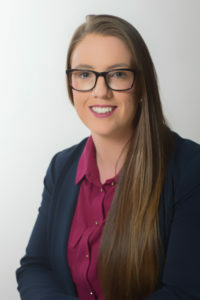 Prior to WJM Georgia worked as a corporate and commercial lawyer at a local Geelong firm. Preparation of Wills and testamentary trusts. Share Sale and Purchase Agreements. Deeds of Surrender and Release. Sale and Purchase of Business. Sale and purchase of residential and commercial property. Georgia is a committee member of the Geelong Young Professionals Committee, a member of the Law Institute of Victoria, Geelong Young Lawyers and the Geelong Law Association. In her spare time Georgia enjoys dining out and looking after her two troublesome dachshunds.